Official author page for Christina Elle, author of quirky romantic comedy & romantic suspense. SALE ALERT! 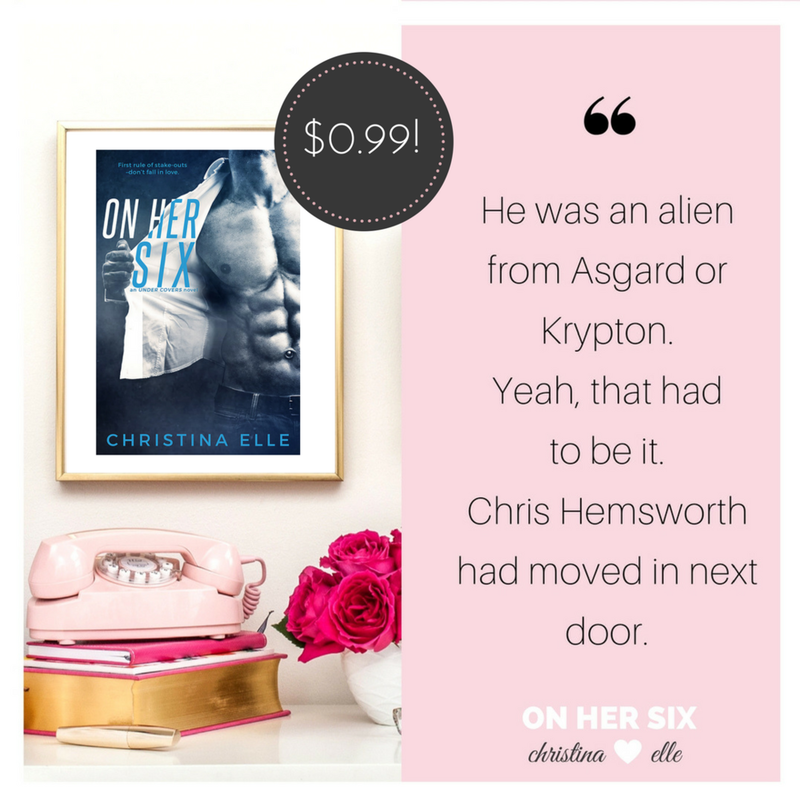 On Her Six is $0.99! My first book baby, ON HER SIX, is on *SALE* for the first time ever!! If you haven't read it yet, here's your chance! If you're into FUNNY and ACTION-PACKED stories that don't take themselves too seriously, then this one's for you! This is a great intro to the Under Covers series before my newest release, THE MAN I WANT TO BE, comes out next month! â­� "This is a BRILLIANT SUSPENSE, ACTION PACKED and SO FUNNY - I loved it!" First rule of stake-outs -- donâ€™t fall in love. All DEA agent Ash Cooper wants to do is lay low and survive this crap surveillance assignment. But after a run-in with his attractive neighbor, he realizes thatâ€™s going to be much harder than he planned. Keeping the woman out of trouble is hard enough, but keeping his hands off her is near impossible. If you've already read ON HER SIX and you haven't had a chance to leave a review, I would be so appreciative if you could. It helps other readers determine if they might enjoy the story. 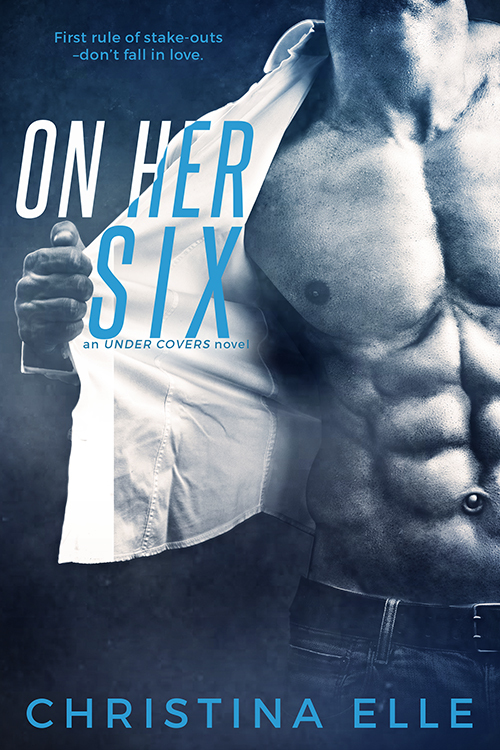 If you're curious about where ON HER SIX fits into the Under Covers series, this is book 1. All the books in this series revolve around the same characters and the same world, but can be read as STAND-ALONE stories in any order. 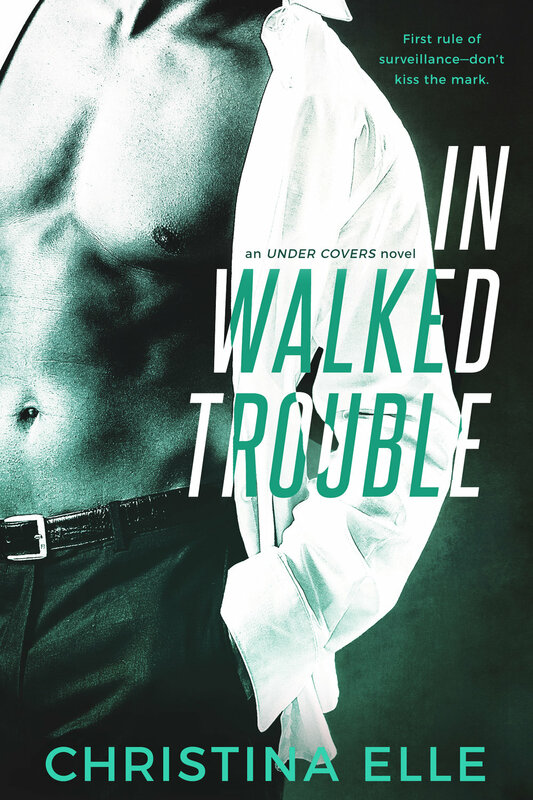 Check out the entire Under Covers series!